With Congress’ approval rating at a resoundingly low 9% amongst American citizens according to a survey by Public Policy Polling, it can be assumed that the American people have finally become conscious of the fact that the U.S’ political system, or at least those within it, no longer work in their interests. Now that Congress is less popular than traffic jams, head lice, cockroaches and colonoscopies (according to the same survey), one can’t help but wonder what has driven Congress to appear so incompetent and to be subject to such an intense level of dissatisfaction amongst U.S citizens. The answer is clear – the major influence of corporations, lobbyists, and wealthy campaign donors has resulted in ensuring that a vast number of American politicians are now nothing more than mouthpieces for the highest earners and biggest businesses in America. This problem is compounded by the U.S Supreme Court decision in the case of Citizens United V Federal Electoral Commission in 2010, where it ruled corporations have the same First Amendment rights as people and therefore can make unlimited campaign contributions during election campaigns. The Center for Responsive Politics (a nonpartisan, independent and nonprofit research organization dedicated to tracking money in U.S politics and its effect on elections and public policy), cited that statistically, even in the most competitive cycles during congressional elections, on average the candidates who spend the most on their campaigns usually win eight of 10 Senate contests and nine of 10 House races. The evidence conclusively proves that the defining factor in deciding who sits in Congress no longer bears any relation to your ideology, whether you are a Republican or a Democrat, or whether you are a liberal or conservative. It’s all about the money! The effect of this has been disastrous. The fact that these politicians are predominantly elected because they can afford to run superior election campaigns means that sometimes American congressmen and senators will be elected despite being simply unfit to do their job. 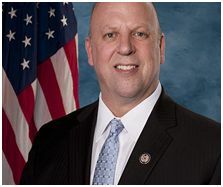 The most notable example of this being how last year Congressman Scott Desjarlais (TN, 4th District) was re-elected – a Republican who was disgraced during last year’s congressional elections for having multiple mistresses and requesting one of them to have an abortion, despite running his campaign on being a pro-life, pro-family values candidate. Of course, Dejarlais spent more money than his rival for his seat. The second problem that arises under this current system is the fact that several U.S politicians are no longer acting based on their own instincts, but for their donors. Is it really a coincidence that Gun rights groups have given more than $17 million in individual, PAC and soft money contributions to federal candidates and party committees since 1989, yet we still have failed to see any serious gun-control measures despite public outcry for it after every mass shooting in the last 25 years? The only way to avoid this problem will be to introduce a 28th Constitutional amendment that not only overrules the decision in Citizens United, but also prevents an elite class of donors being able to exercise their current entitlement to effectively buy the country’s elections through excessively high campaign donations. In order to achieve this, the amendment must contain a provision to make it illegal for corporations to directly or indirectly give money to any politician, and a provision which places a cap on the amount politicians can raise from any individual. But if so many congressmen and senators are under the influence of corporate interests and wealthy donors, then why would they accept such an amendment? The answer is that they don’t have to. It is possible to bypass Congress. If two-thirds of the State legislatures (whose members are not as heavily influenced by money) call for a Constitutional Convention then it will become possible to pass the amendment. 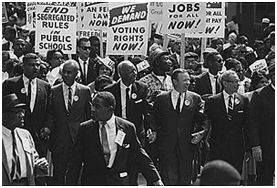 The 1960’s civil rights movement – proving that unjust establishment practices can be brought to an end if the political will is there. This presents a real opportunity for America to take back its democracy. But as was the case with the success of the 1960s civil rights movement amongst African-Americans, if this amendment is to be passed then there will need to be a movement with leaders (like Martin Luther King Jr. and Malcolm X) that can inspire a mass movement of people to stand up for that change. But in order for that to happen, America must first undergo a revolution of consciousness and wake up to the fact that a vote at the ballot cannot compensate for the erosion of a democracy. No matter where we look these days, we find an obsession with debt and the deficit. We hear on a daily basis that the deficit will ruin our economy, turn us into Greece and drown our grandchildren in crushing debt. How true is this understanding? I am not an economist but I was founder and C.E.O. of a successful corporation for over 25 years. From a business point of view, debt is merely an obligation or liability to pay or render something to someone else. A problem emerges when investors lose faith in the debtor’s ability to repay the obligation. A company, similar to a country, sells bonds to provide working capital. Contrary to popular belief, it is not a bad thing for Chinese or European investors to buy U.S Treasury bonds. It demonstrates confidence in our nation’s economy. Furthermore, the country’s wealthiest 2% tell us that any day now investors will lose faith in America’s ability to pay its bills. They warn of a run on Treasury bonds similar to what happened in Greece and see inflation skyrocketing. These scare tactics fail to recognize that the United States is not Greece and we have many safeguards in place since the Depression of the 1930’s. In addition, we overcame the Great Recession of 2008-9 thanks to a strong Federal Reserve, a competent President and a Congress that actually did its job. Economists tell us that when the government prints more money, investors may start to expect higher inflation down the road and this may push down the value of the dollar. However, if these results do take place that would actually help rather than hurt the U.S. economy, right now. The fear of higher inflation would discourage corporations and families from sitting on cash, while a weaker dollar would make exports more competitive. Generally speaking, our deficit is the result of higher spending and reduced tax revenue, caused primarily by a drop in personal income and the cost of two wars and necessary social programs. It is ironic that the scare-mongers of the debt menace are the very people who have benefited the most from our existing economic system. On October 16th, news broke nationally that a young man sleeping in a community center in the Crown Heights section of New York City was awakened by police and subsequently abused for almost five minutes for not complying with the cops’ demands that he submit to arrest. The man repeatedly told the police he was allowed to be at the community center and had the permission of the center’s director, which one would think the cops would have notified to confirm and at least waited until the director came to the center to confirm. But instead the cops acted on what appears to have been an anonymous ‘tip’ that someone was sleeping at the center without authority, thus trespassing. How many times have people called cops asking for action on a particular issue only to have them say that they can’t act on ‘anonymous tips’, which on the whole seem to protect our rights and keep revenge seekers and busy-bodies from driving the cops all over on trivial, meaningless errands. Its still unclear why the cops felt that whoever called in had enough weight and authority for them to act by not only entering the center in the middle of the night, but to consider that person’s word of more value than a live individual or the community director, so much more weight that violating this individual’s right to safety and health was of secondary importance? In the story as reported in Raw Story, you can see the senseless beat-down that this young man had to endure by these thugs in uniform. Further down is the Crown Heights community coming forward to demand justice. I’m heartened to see the Jewish community coming together with the African-American community on this and I hope this is a trend we will see more of; police brutality is an issue that effects us all and we all need to be equally concerned and dilligent in calling out instances of its occurance. Far too often brutality in the African American community is over looked, despite overwhelming evidence. Let’s hope that will become more and more a feature of the past. Brooklyn prosecutors have dropped all charges against a Jewish man videotaped getting pummeled by two cops at a Crown Heights synagogue. Ehud Halevy, 21, was sleeping in the back room of the ALIYA youth center on East New York Ave. Oct. 8 when he was confronted by two police officers. After an argument about evacuating the premises — which the shirtless man refused to do — he was punched repeatedly by Officer Luis Vega. A tape depicting the beatdown has gone viral and elicited angry responses from the Jewish community and elected officials, with many calling for the cops to be fired. “We believe the police fabricated the police report that they submitted and have failed to publicly acknowledge what really happened that night,” said ALIYA director Moishe Feiglin. He said Halevy was there with permission. “After review of all available evidence, I have decided to dismiss the charges against Ehud Halevy,” Brooklyn District Attorney Charles Hynes announced Monday afternoon. Halevy was facing up to seven years in prison for the assault rap. He was also charged with resisting arrest, trespass, harassment and marijuana possessions. The DA’s decision means the case is now closed. A petition on change.com asking Hynes to drop the charges garnered nearly 90,000 signatures. The charges will be officially dismissed Wednesday. Unfortunately, not everyone is so lucky as to have a whole unified community come together and put up such an immediate fuss that embarrasses the local department so much they can’t move fast to put the ‘incident’ out of public view. Most victims of police brutality aren’t so lucky, often members of communities that the public has been trained to see as inhuman and in need of constant ‘correction’. Even though Halevy and his attorney may be pleased with the outcome, nowhere in the Daily News story is any mention of punishment of the cops who obviously went way over board. Some disciplinary action seems called for at the very least. It is disturbing that police officers who demonstrated an obvious lack of judgment and restraint still possess the power to restrain individuals without question and with deadly force. It is distressing to say the least when a party that suffers under the weight of institutional wrong doing backs off when their personal wrong gets set right. They forget is seems that the rest of the community needs them and their story to push for broad improvements in the institution that wronged them. Dismissing the charges only amounts to an effort to move the stain out of the public view as soon as possible. Its damn well about time. The ACLU and the NAACP have requested that election monitoring groups from the UN come in and monitor areas where minority vote suppression has been witnessed. Of course the wingnuttia is having the predictable hissy fit about it, stamping their feet claiming that the UN can’t watch them because well, because they aren’t American. Which is the point. We want objective, fair and reasonable observation which can only come from a group completely removed from the rampant corruption coming out of the conservative even some of the moderate sides of the political landscape here. You’d think that after all their crying and whining about ‘rampant’ election fraud, they’d welcome an outside source to monitor for such activities. But no, apparently the wingnuts don’t like others looking over their shoulders. I’d suggest they calm down because the best way oftentimes to find guilt is to find the one that resists the light of day the most. For more reading look here. Thanks Daily Kos for sending out the clarion call about this. Here is a posting of a very good article on how the institution of psychiatry in America has fallen in the last few decades. From a field that with psychology, at one time devolved from a practice that worked to support the quest for human peace of mind into an arm of the capitalist state. The popularization of the use of drugs as a means to ‘correct’ anxiety and depression are based on the idea that there exists nothing inherently wrong with living in a system that is increasingly oppressive to most working people and children. No doubt the profit-driven pharmacology sector has banked well on the popularity of fixing the individual instead of fixing the social problems the individual struggles with. In addition, the practice of singling out individuals as opposed to looking at the inter-play of groups and social structures that individuals function under allows the continued dehumanization of state sanctioned capitalism to go unchecked and unanalyzed. In this article a former practicing psychologist testifies to his first-hand witness of the use of drugs and individual therapy in the alienation and dismissal of dissent as an indicators of mental disease rather than being the proverbial canary in the coal-mine, warning of the increasingly oppressive economic and social conditions of our present day society. Get A Job and Make Some Change! areas in New Hampshire about the upcoming election. community, then we are interested in hearing from you. by check or direct deposit every two weeks. and willingness to talk with a diverse group of people. devices such as iPods. Training will be provided. back together at the end of your shift to record your data. three full days per week. attach one during the online application process. Once again, the Republican candidate for president has expressed his contempt for a large percentage of the American people, by claiming that they are “dependent” on government for their very lives and, therefore, will automatically vote for President Obama. The real wealth of the nation is in its people. Comments by the GOP standard bearer, Mitt Romney, were caught on tape in Florida last spring and released last week by Mother Jones magazine. In a matter of hours, the comments were seen by tens of millions and caused Romney to call a press conference to explain himself. 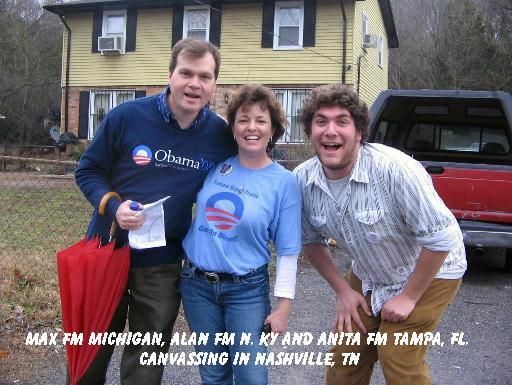 By now, it is clear to virtually everyone that Romney doesn’t have a clue about what real Americans’ lives are like. He certainly doesn’t know what it is like to try to stretch a $15,000 annual income and keep a family from starvation. And, he never will. In fact, living on low wages or a low fixed income is one of those weekly miracles that happen and the plight of those millions of families goes unnoticed. Out of sight, out of mind and Romney wants to keep it that way. 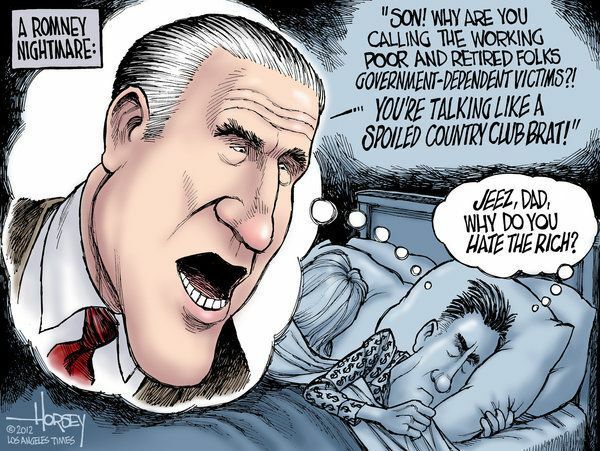 The GOP, as expressed by Romney in constant campaign rhetoric, wants to reduce the government, so that it never will be able to provide for that 47 percent of the electorate, which likely would never vote Republican. Only the irrational would vote for a party, the main philosophy of which is to cut taxes for the rich and corporations and cut social programs and most functions of government, except for the military and defense. But, books have been written, speculating on why average Americans, who are only one or two paychecks away from needing government assistance, continue to support the GOP platform and its philosophy. They’re out there and they do, indeed, vote Republican. Democrats are on the horns of a dilemma. They have been subject to the same propaganda from the right wing think tanks and Corporate America for decades and have weakly fought the GOP’s efforts to diminish every function of government at every level. At the same time, they have presided from time to time over a country headed in the same direction, no matter which major party is in charge. The difference is that they don’t sing the same no-taxes-no-social-programs song that the Republicans sing. For that alone, they have a leg up on the coming election, but this does not leave them in the clear, by any means. Many of their policies on the important issues of our time are much the same as those of the Republicans. These issues include, but are not limited to: global trade, the continuing growth of militarism, the magical vanishing manufacturing base (except for those things that are made by robots), the lack of sustainable and low-cost housing, the food system that is damaging the people’s health, the lack of an affordable universal health system, the staggering cost to students of higher education, endless war, diminishing civil rights, and the continuing assault on virtually every vital aspect of the environment. Other than that, Obama is doing better than the party of Romney. Many of their policies on the important issues of our time are much the same as those of the Republicans. Back in the 1980s and 90s, over-the-road big trucks had painted on them something like, “This truck pays $4,467 in road use taxes every year.” That was supposed to show everyone driving a car or pick-up that the truck bearing the sign and weighing some 80,000 pounds was paying more than its fair share to use the roads. A quick check of the “road use” taxes that a car or pick-up truck paid at the time showed that, pound for pound, the car paid about four times what those trucks paid in road use taxes and they didn’t crumble the roads to dust. So it is with the Republicans and their insistence that the behemoths (wealthy) pay all the taxes, and that there are so many poor and low-wage Americans who pay no income taxes. (We’ll leave aside for a moment that there are giant transnational corporations that pay no taxes and lots of rich folks who pay no taxes, but that’s a subject for another discussion.) The fact is that the poor and low-income wage earners pay plenty of taxes: sales taxes, payroll taxes, gasoline taxes, excise taxes, and endlessly increasing fees for everything from driver’s licenses, to fishing licenses. Low-income Americans pay a much greater percentage of their income than the wealthy or even the middle-income earners. Somehow, this fact of life has escaped Mitt Romney and people like him, George W. Bush and virtually his entire administration, for example. These are people who are so alienated from the lives of most Americans that they don’t know that the country’s emergency rooms are not universal health care and they are not free. And, Wealth for the Common Good also noted recently that the top 400 taxpayers (those who have more wealth than half of all Americans) pay lower taxes today than they have in about two decades. Their tax responsibilities have declined sharply in 70 years and, during that time, wage-working men and women have been asked to pay more. There was a time when lawmakers discerned a difference between those who could afford to pay taxes and those who were not able to pay taxes and occasionally, they adjusted the tax code to lighten the burden on the poor. This is not one of those times. Mitt Romney, Paul Ryan, and most of the Republicans and many Democrats seem to have forgotten that the Democrats once stood for the New Deal (putting people back to work and giving them the means to maintain their living standards, through union organizing), the War on Poverty, and the Great Society. Instead, at this time, in the midst of a presidential election campaign, the word poverty is barely mentioned. And, if the word “poor” is used, it is to call them lazy, parasites, and a drag on the economy and the national budget. There is no apparent plan from either party to deal with the severe problem of poverty in the U.S. Certainly, there is no plan for the two parties to come up with a plan, and that’s what it takes to solve the problems of a nation that owes its soul to the company store, that is China, Europe, Japan, and several other countries. Romney doesn’t have a clue about what real Americans’ lives are like. The right wing (in politics and Corporate America) in this country would do well to hold its tongue when criticizing any of those creditors, because it is people who look and act just like them who have removed the manufacturing base from the country to seek ever lower wages and lower “labor costs.” They are the ones, along with the people they employ in the Congress, who have caused the economic problems, with their constant push for lower taxes for the rich and corporations and the push for rewards for taking their plants out of the country. They have received all of that. As we have seen, the working class and the middle class, however it is defined, are the ones who pay (remember, they somehow have morphed from citizens into consumers). When they lose their jobs, there’s no one left to pay. How hard is that for the politicians to understand? We’ve had a steady decline of jobs for decades, we have people in mid-life living off their retirement savings, and we have college graduates who might be able to pay off their student loans by the time they are 50 years old. Like or not, the rich are going to be swimming in the same pool as the rest of the country if the whole thing collapses. Then, they will be seeking out people who have real skills for living, to show them how to do it. Generally, the rich are engaged in enterprises that produce nothing but money and we are beginning to realize that this money is worth about as much as the paper used for printing it. The real wealth of the nation is in its people. When they are healthy, the nation is healthy. When the people are weakened or sick, the nation is sick. Poverty weakens and sickens a nation and the disparity in wealth in the U.S., at a level not seen in 80 years, has weakened the nation. No one in government at any level seems to be willing to proclaim the danger out loud and, so, the problem is not addressed and the nation is in deep trouble. BlackCommentator.com Columnist,John Funiciello, is a long-time former newspaper reporter and labor organizer, who lives in the Mohawk Valley of New York State. In addition to labor work, he works with family farmers as they struggle to stay on the land under enormous pressure from factory food producers and land developers. To contact Mr. Funiciello, please go to BlackCommentator.com. As seems par for the course, the Massachusetts Senate race between Tea Party supported Republican incumbent Scott Brown and his Democratic challenger, Elizabeth Warren, comes down to race. As always, when one takes the time to turn their jaundiced eye in the direction of the racist whoops and hollers, what is found is a vacuous, empty shell of a candidate. Considering the fact that Elizabeth Warren scares the absolute bejeezus out of Wall Street, you’d think that Brown’s campaign might reflect the great minds that money supposedly can hire to dream up some nefarious defense of run away capitalism. But, as usual, the corporate capitalists prove that its really hard to find a way to defend a system that will screw over the very people whose support you need. Who knew that the Massachusetts race for the United States Senate – and maybe for Democratic control of the entire Senate – would come down to race? When I wrote about this last May I thought this was a one-off remark and since it didn’t move the polls, I figured the whole thing would die. A lot of people who are part Cherokee didn’t register for many reasons including fear of being targeted if they were open about Native American ancestry. 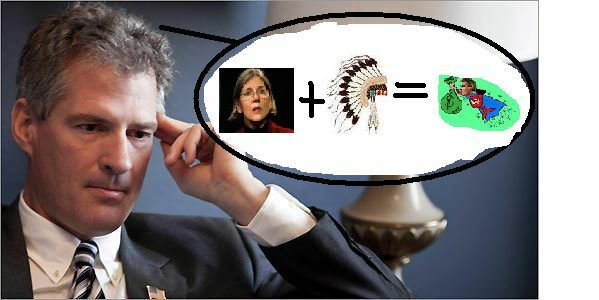 But now Scott Brown has made Elizabeth Warren’s race the centerpiece of his campaign. He has decided that the path to re-election is to question Warren’s family heritage. He has not produced any proof that her having “checked the box” made any difference in her tenure at Harvard Law School. On the other hand, Warren has produced people, including Republican Charles Fried, to say either they didn’t know or if they did it made no difference. Where’s the beef, Senator Brown? This said by a city councilman at a meeting of the Worcester city council on which a new Responsible Employer ordinance was voted on this week. The ordinance will specifically focus on contractor bid jobs for the municipality. The words reflect a moral courage that we need to see more often. As Mr O’Brien states, doing the right thing often has nothing to do with getting another vote, opinion polls or the endless chatter of the media. Instead when one sits in a position of government, with the power to decide on their city’s future, they must consider the residents of that city. Mr. O’Brien did. Those who voted against the measure threatened that it wouldn’t stand up to the courts and of course end the world as we know it. “Before the vote was taken, Mrs. Lukes spoke against it, saying the council would in effect be managing competition for city construction projects by limiting the companies eligible to bid on them to union shops. She contended that the ordinance will increase the costs of city construction project by 20 percent to 30 percent. “To what extent does free enterprise exist?” Mrs. Lukes asked. “This is bad for taxpayers, it’s bad for business and it’s bad for this country. This is more of a political decision than anything else. Ms. Laken has a point. As construction company’s practices now do not resemble anything like the union’s and do not favor worker’s interests, yes, they might have some catching up to do. But, that has to do with prioritizing business strategies. Unions demand that companies, in exchange for stable, trained and well managed workers, agree to certain sets of standards in their operational priorities. Sure cost adjustments will be required, but large companies fit to bid on commercial projects generally aren’t going to suffer the small monetary gains in order to possibly reap advantage. The model that Ms. Laken draws upon as calling unions uncompetitive — which she does when one considers her claim that now that the tables are shifted, the non-union shops no longer have the competitive edge; that edge is based on priorities. As a municipality that represents all people and must have within its logical interest, the financial welfare of all, then worrying about the bottom lines of businesses is not her business, especially when protecting wealth accumulation of the few over the benefit of the many — the residents she supposedly represents. Ms. Laken uses the tired and worn-out claim that somehow looking out for the workers will not benefit employers. Threatening that companies could suffer a 20 -30% loss of business. While one can certainly dispute the figures, when Ms. Laken cries about a “free market” to whom shall it be free? Then one wonders, what interest would a representative of workers in a city have above that of the workers that make up the majority of their electorate? This begs the question on all levels of the public interest. Why would any civil servant believe that policies that benefit the few, especially at the expense of the many constitute worthy policies? When this country has suffered nearly a quarter century under deregulation and now has started to reap its results, how can anyone of reasonable mind continue to support such “free market” ideology, the very ideology that has soiled this democracy. The issue at dispute in this city council meeting encapsulates the attack on all working people that has caused the erosion of the value of a workday for all from waitresses to teachers, to mechanics to office workers. Workers have taken on the chin the stagnation of their wages and the simultaneous rises in the cost of living. Strangled by the false prophet of supply-side, Laffer Curve driven economics that intentionally benefited the chosen few, workers have had enough. Attempting to claw through by leveraging their lives and hopes of bank offered credit, continuing to have faith in the educational system, taking on debt sometimes larger than a first house mortgage, suffering a pock-marked safety net and an increasingly unavailable healthcare system, workers have had enough. Then along comes someone in a city council to belly-ache about the businesses. Along comes a presidential candidate that sneers at the masses like so many ignorant peasants. Workers have watched and sat quietly at home, thrown out, removed, disposed of, laid waste and left to rot on unemployment checks, as their source of sustenance moves off the continent or into oblivion; a shell of flaking bricks and crumbling mortar. Workers have struggled alone, in silence, like champs, like martyrs from the most extreme religious sect, long hoping for redemption from something, even if it has no relation to the hell of earth. Struggled with the pain of cancer eating their bodies, struggled with their bodies screaming in pain, rotting away with no relief. Turned away by blind bureaucratic bodies designed for profit and not for care, they suffer alone and do not blame the system they grew up to believe in; the system of free enterprise. And so it is, the man from another country, the weak, the hungry, the jobless, the ones less able to fight back. Now that has finished as well. Finally workers have begun to figure out, to learn that all of us together are workers, whether born here, whether a woman or a man. Workers know that the sick were workers too, could be workers in the future. Workers know the hungry is a worker without a job, the family has workers that need jobs, that need sustenance and when all workers fight together, in unison, against the forces of the plutocrat, the worker wins. Read the entire article in the News Telegram.